Come to the first Lambeth cycling conference on Saturday 27 April 2013. Lambeth Council have organised a conference to discuss ways in which the borough can be made the most cycle friendly in London so that cycling is 'normal' and the default transport option for everyone. How do we make Lambeth the most cycle-friendly borough in London? 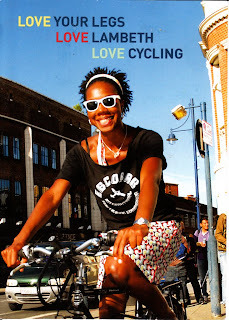 How do we make Lambeth a place where anyone who wants to cycle can? How do make Lambeth a place for 8-80 year old cyclists? Go Dutch? Let’s make Lambeth go Danish! Lambeth is one of the leading cycling boroughs in London and has won awards for various projects including its HGV/cycle training and secure residential cycle parking. There are more and more cyclists on the road – but the majority are young to middle-aged men. Lambeth wants to make a leap forward to become a place where cycling is normal for everyone – young, old, women, men, rich and poor. Lambeth hopes that the Mayor’s recent Vision for Cycling will be an opportunity to tackle main roads and junctions which have put many people off cycling and we believe that the time is right to make a big difference to cycling in the borough. You are invited to this free half day conference to hear about projects that are happening now in Lambeth – and to have a say about what should be done in the next few years. The conference aims to discuss what a cycle friendly Lambeth would be like - what should the priorities be to get there, what are the barriers at the moment and how can we all tackle them. We want to make Lambeth the most cycle friendly borough in London. Come along to help make it happen. 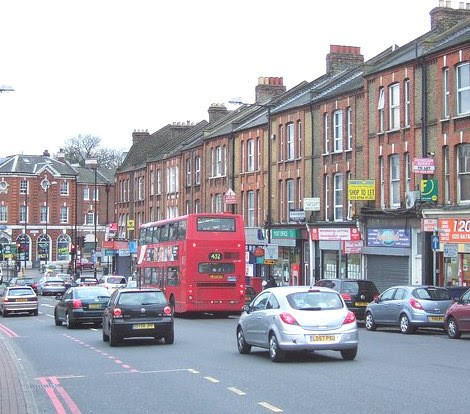 Which roads are Lambeth's worst rat-runs? Lambeth Cyclists are compiling a list of Lambeth's worst rat-runs to gain an overview of the problems across the borough. We're sure that we as cyclists on our regular journeys all come across back streets used by drivers as short-cuts where cycling and walking is made more dangerous (or feels more dangerous) by the speeding traffic. We would like to draw up a list to take to Lambeth's transport department so that they are aware of the problems from a cycling perspective. The list will allow us to start a discussion and to enable us to discuss remedial measures that can be taken to remove the rat-runs or at least to make them less desirable for drivers cutting through and therefore more desirable to walkers and cyclists. So what are Lambeth's worst rat-runs? Aldebert Terrace, SW8 (LCN3) evening rush hour westbound. Impossible to safely get to the traffic lights at South Lambeth Road as so many cars plus cars parked immediately alongside. Dorset Road, Bolney Street, SW8 (on Lambeth LCN route 3). Morning rush-hour rat run all morning. Loads of fast, aggressive cars and white vans in particular. Insufficient speed humps to slow them down, only elephants feet. Lansdowne Way, SW8 - despite some table speed calming measures, drivers speed like maniacs! Amongst offenders are buses, especially 'off-duty' ones, going back to the garage for the end of their shift at really unnecessary speeds. Thorne Rd, SW8 - another rat-run - light phasing at the junction with South Lambeth Rd doesn't help - 2 serious crashes recently. 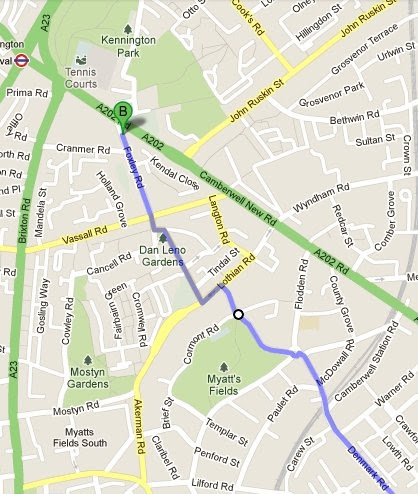 Minet Road, SW9 Knatchbull Road, SE5 run near Myatt's Fields Park. Loughborough Road, SW9 between Brixton and Akerman Roads - it's too narrow for the high volume of 2-way traffic with parked cars both sides so lots of irate and stubborn drivers refusing to give way or make space for cyclists. Railton Road, SE24 - horrendous for inexperienced and experienced cyclist alike - the road is supposedly 20mph but this is largely ignored with cars racing out to overtake cyclists only to cut immediately back in front of them to avoid the ridiculous chicanes and islands that Lambeth have put in presumably in an attempt to reduce speeds. Sternhold Avenue, SW16 turning left onto A23 towards Brixton. Drivers cut through Blairderry Road and Ardwell Road/Barhill Road to avoid waiting at the traffic lights. Needs a few bollards for filtered permeability. Leigham Avenue, SW16 - Northbound drivers on A23 use this to get to Leigham Court Road without having to drive around the back of Streatham Hill Station on the oneway system there. But it's oneway, which encourages speeding, and uphill, which makes it very hard to cycle on. 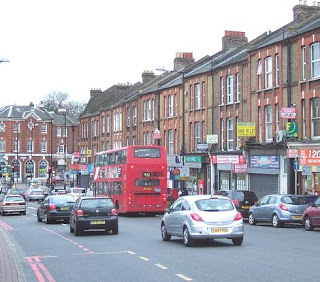 Faygate Road / Hailsham Avenue, SW16 - many drivers use the Amesbury/Barcome/Cricklade roads to speed away from the southbound A23, and ratrun via Faygate/Hailsham/Mount Nod Road to avoid the junction at Streatham Hill Station. 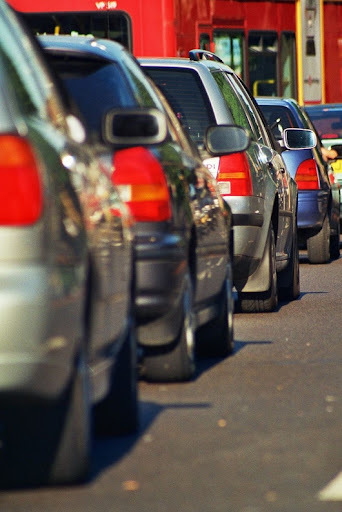 The junctions at Hailsham/Amesbury and Faygate/Hailsham are particularly bad, since they are motorway-style sliproads in a 20mph zone - so drivers don't slow down and take them at around 30mph while just glancing over-the-shoulder for cars and generally not bikes. 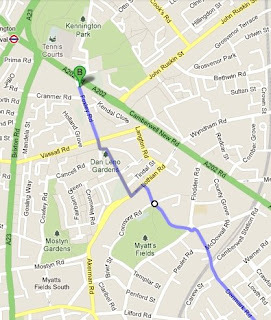 Milkwood Road, SE24 from Herne Hill to Loughborough Road - all day. Supposed to be 20mph, but no through traffic obeys that speed limit. Particularly dangerous around the pedestrian islands. Of particular note for cyclists coming from Lambeth and other South London boroughs are the three bridges -Westminster Bridge, Waterloo Bridge and Blackfriars Bridge- which will have restricted acces tomorrow morning. 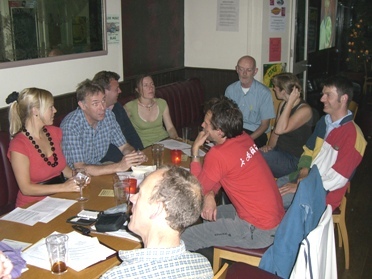 We hope you can join us for Lambeth Cyclists' meeting this Tuesday (16 April 2013) 7:30pm at the Priory Arms pub, Lansdowne Way, Stockwell, SW8. We are usually in the upstairs room. 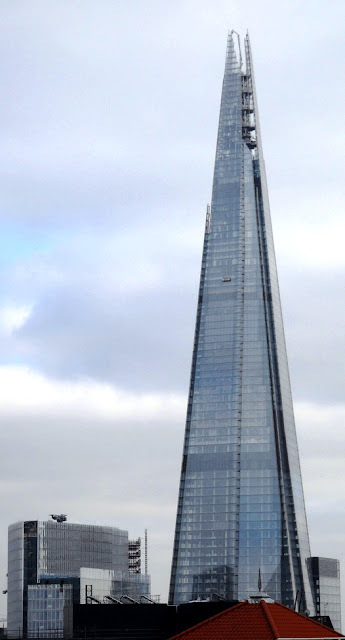 This Sunday, 7 April 2013, come on an easy going Lambeth Cyclists' Architecture Ride looking at London's tall buildings. 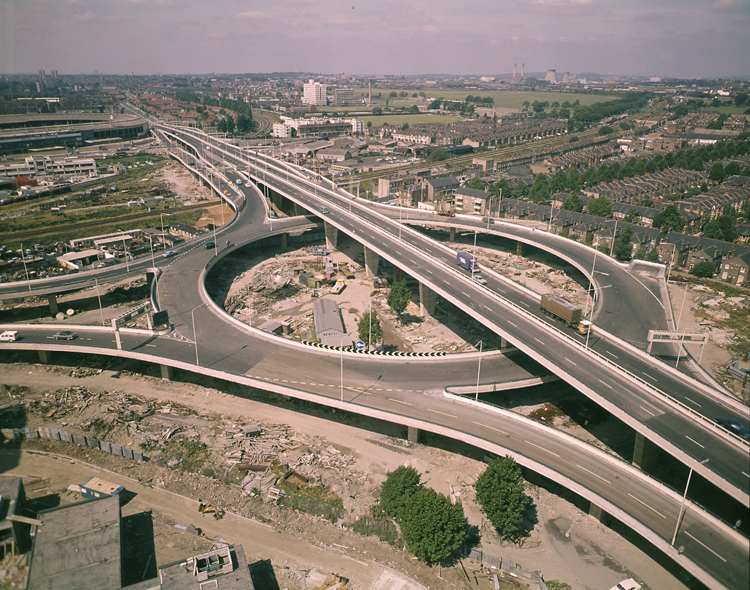 What buildings impressed Londoners through the ages? How does Tall today compare to the Tallest yesterday? Come and join us on a ride that explores how tall buildings have been used to project power and wealth over the last thousand years. We hope to be able to go inside at least two of the tall buildings we visit. Does size matter? You decide! Health warning you could severely crick your neck.